MARILYN BERKLEY JOHNSON BERRY, 78, of Palm Bay, Florida, passed from this life Saturday, May 13, 2006, at Palm Bay Community Hospital. She was born February 17, 1928, in Logan, West Virginia, a daughter of the late Carl and Mary Berkley. 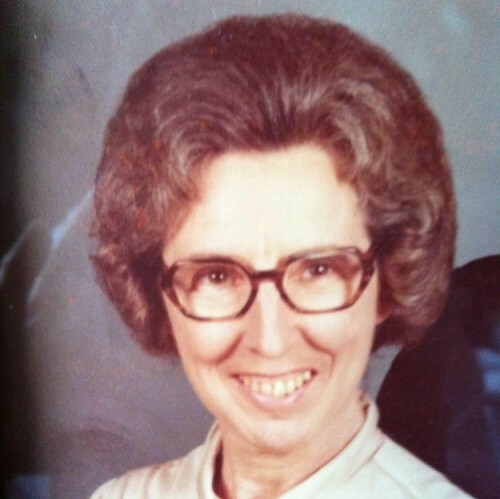 She was a retired Logan County educator, teacher and principal. She was previously married to J. Fred Johnson of the Johnson Funeral Home on Rt. 44 in Switzer, Logan County, West Virginia. She and her first husband, J. Fred Johnson operated and lived above the Johnson Funeral Home in Switzer, WV. She was a member of the First Freewill Baptist Church of Melbourne, Fla., a member of the Bethlehem #71 Order of the Eastern Star, Beckley, W.Va., and an avid porcelain doll maker. In addition to her parents, she was preceded in death by her first husband, J. Fred Johnson; two sisters, Marie Berkley and Katherine Buskirk and one brother, Carl Berkley Jr.
She is survived by her loving family, her husband, Charles E. Berry; three daughters, Jeanette Brannock of Palm Bay, Florida, Joanna and Danny Seay of Barboursville, West Virginia, and Verna Butch and Keith Ross of Huntington, West Virginia; four grandchildren, Stephen Brannock of Palm Bay, Florida, Chad and Cyndi Brannock of Syracuse, N.Y., Lyn and Melvin Moore, and Dustin and Melissa Seay, all of Barboursville, West Virginia, five great-grandchildren, Christopher and Matthew Moore of Barboursville and Justin, Janae and Haley Branncok of Syracuse, N.Y., and a host of family and friends. Funeral services will be conducted Thursday, May 18, 2006. at 11 a.m., at the Wallace Funeral Home & Chapel, Barboursville, with the Rev. Carlos Gibson officiating. Committal services will be at 2 p.m. at the Highland Memory Gardens, Logan, W.Va. Eastern Star services will be conducted at 7 p.m. Wednesday by OES #95, Barboursville. Friends may call from 6 to 9 p.m. Wednesday, May 17, 2006, at the Wallace Funeral Home, Barboursville, W.Va.